Ancient French Fleur-de-Lys design in 9ct Yellow Gold upon a slightly convex disc of 9ct White Gold, to create a neat solid pendant, the disc 11mm across, .7mm thick, of total 20mm pendant length. 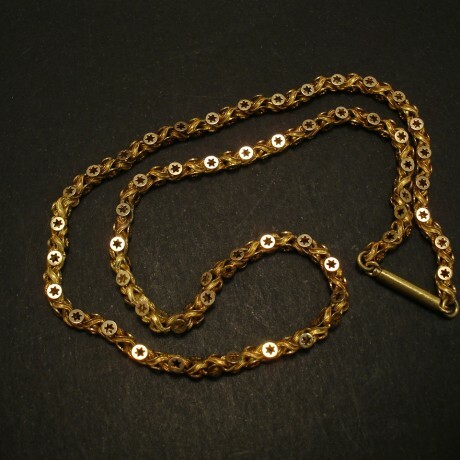 Category: Gold Necklaces. Tag: white & yellow gold combinations.